After spending a lot of time looking through a Thai-English dictionary, hoping to find some awesome Thai phrase to replace the current title of my blog (Alexa Stuart’s Blog), it finally hit me: Only in Thailand. I think and say this phrase multiple times a day because pretty much everything here is foreign and completely bizarre. Only in Thailand would I EVER consider riding on the back of a motorbike taxi, side-saddle, in a pencil skirt and heels in the rain. 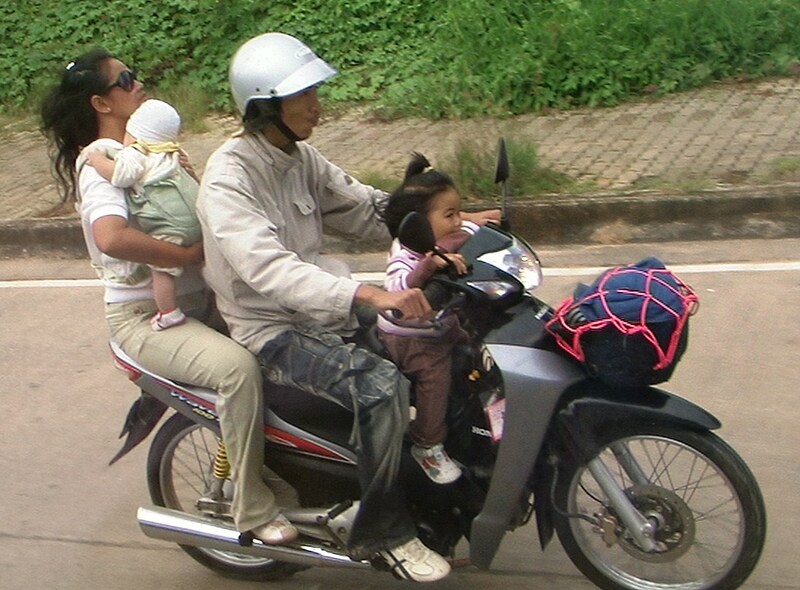 Only in Thailand would the motorbike next to me be carrying a family of four, including an infant strapped on to the mothers back (essentially in a backpack) and driving on both sides of the road to avoid traffic. Only in Thailand is ice cream served in hot dog buns and people drink Pepsi out of a plastic bag with a straw (they drink everything with a straw). I could honestly go on forever with this phrase. What’s scary is that some of these things are starting to seem normal to me. Better stay tuned to see what else this crazy country has to offer! I won't lie, I got this picture off the internet... but it was too good not to add! Me again – this is the PERFECT title! I’m serious. We used that phrase all the time. And, for the record, I miss Coke-in-a-baggie.